Las Vegas WordPress Training – 702-546-9108 | Call Today! 702 Arts Digital Media WordPress Training | Development | Support WordPress is a great tool for growing your business online. That being said, it does take a certain amount of time to master and does require either self training or some form or instruction. Like any technology WordPress training requires a certain aptitude and creative ability in order for your website to make a return on your investment. WHAT WE OFFER: We offer Private 1 on 1 WordPress training classes in Las Vegas, with your own personal WordPress instructor. We can train on site at your location in small to large group settings , or remote online training using our Webex training system. Our WordPress Training Specialists can go over basic to advanced WordPress features to fast track your website. We also provide WordPress design, development and copyrighting services for a more search relevant website. We work with individuals, small businesses and enterprise customers to help them maximize their online presence. Our Interactive training classes are customized to your theme and training goals, and you can update, edit or build a new website while you train. WE RECORD ALL TRAINING SESSIONS All live training classes are recorded, archived and available for you to download after your training. On site training sessions will include a full screen recording of the training session. Custom Audio, Video and Screen cast recording options are available for an additional cost. FREE ON LINE TRAINING VIDEOS With each class you have FREE access to our Basic Training Videos for your attendees to watch prior to your training. OUR TRAINING METHODS All methods are live, online, interactive training, with just you, the people you invite, and your own personal WordPress instructor. Together we will determine what method is best for you. wp01. – WORDPRESS FUNDAMENTALS PROGRAM Become a WordPress Expert in Just 2 Classes! 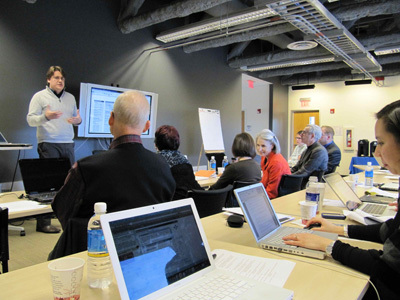 Learn to Modify Your Homepage, Sub-pages and Blog Posts in Private, Instructor-lead Classes! wp02. – WORDPRESS ADVANCED CLASS CSS Modifications – Customize The Look of Your Website. Quickly learn the skills it takes to build unique, sophisticated WordPress websites using Child Themes and CSS. wp03. – ADVANCED SEO TRAINING Our Advanced WordPress SEO Training Class helps you increase the visibility of your website / business on the search engine result pages. By combining our SEO techniques with excellent marketing skills, you will be on your way to a successful online business. (wp04) – SOCIAL MEDIA TRAINING PACKAGE FREE Recording of Your Live Classes Included With This Program! FREE Basic Training Videos Included With This Program! (wp05) – MULTIMEDIA TRAINING PACKAGE FREE Recording of Your Live Classes Included With This Program! FREE Basic Training Videos Included With This Program! Las Vegas WordPress Training – 1-on-1 and group training in-person or remotely. Las Vegas WordPress Development – Programming tweaks for your WordPress site Las Vegas WordPress Technical Support – WordPress support and maintenance services. Las Vegas Online Marketing & Consulting – Optimize your site traffic and sales conversions. Las Vegas Business Video Productions – Maximize your search results with Video Marketing!